Oval 72" x 36" Freestanding Bathtub The Olivia is simply beautiful. Seamless construction, utilizing MTI's Sculpted Finish technology. This amazing process is painstakingly detailed and all done by hand by the craftsmen at MTI. The result is a tub is seamless and looks as if it were hand-molded out of a single piece of material. Flat rim for contemporary styling. The end drain provides longer bathing area. 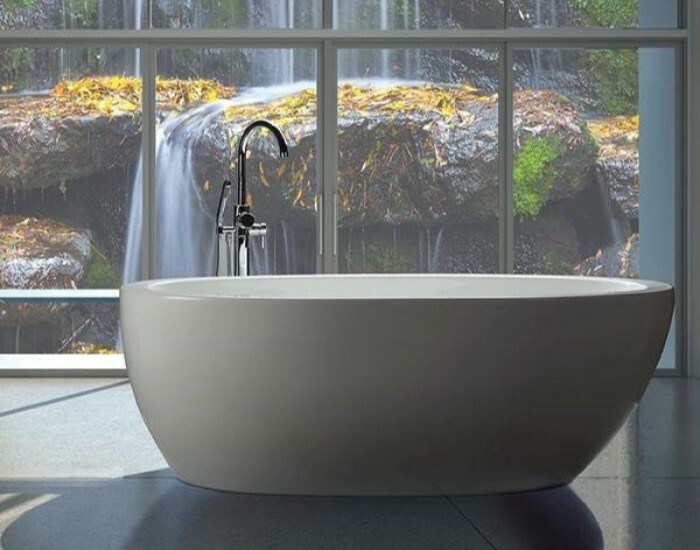 Choose your perfect bath: Soaking Tub or Air Bath. Tub Size: 72.5" x 36.375" x 24.75"
Bottom Interior: 51.5" x 25.75"